Welcome to the “City of Lights.” Your tour begins in the world’s cultural capital – Paris. Grand sights such as Notre Dame Cathedral, the Place de la Concorde and the Champs Elysees await during your three-night stay. Enjoy dinner with breathtaking views on the Eiffel Tower. Embark on a scenic cruise on the Seine River. Visit the magnificent palace and gardens of Versailles. 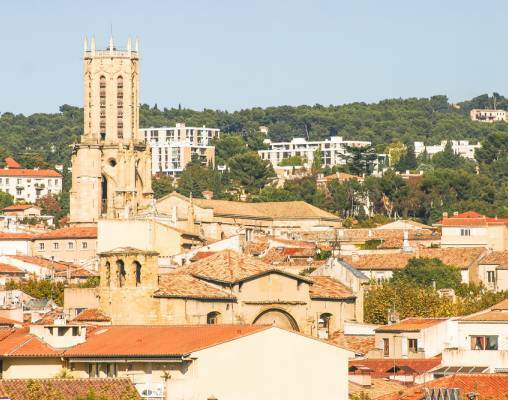 Cross the countryside aboard the high speed TGV Train on your way to Provence. Stay three nights in charming Aix-en-Provence. Visit Avignon where you will enjoy a tour and a visit to the famous Palace of the Popes. Experience French cuisine first-hand at a cooking demonstration. Savor a guided tasting of local wines and olive oil during a visit to a vineyard and olive oil mill. Tour Cezanne’s workshop in the town of Aix-en-Provence. Explore the bustling morning market in Saint-Rémy-de-Provence. Come to know the history of the Cannes Film Festival as a local expert guides you along the red carpet. Experience the good life in Nice and visit the famous local flower market. Witness the splendor of the Principality of Monaco as your journey comes to a close on the glittering Riviera. 2nd May 2019 $3,899 Please call for availability. Enter your details below if you would like to be notified when 2020 dates and prices are available for French Impressions.